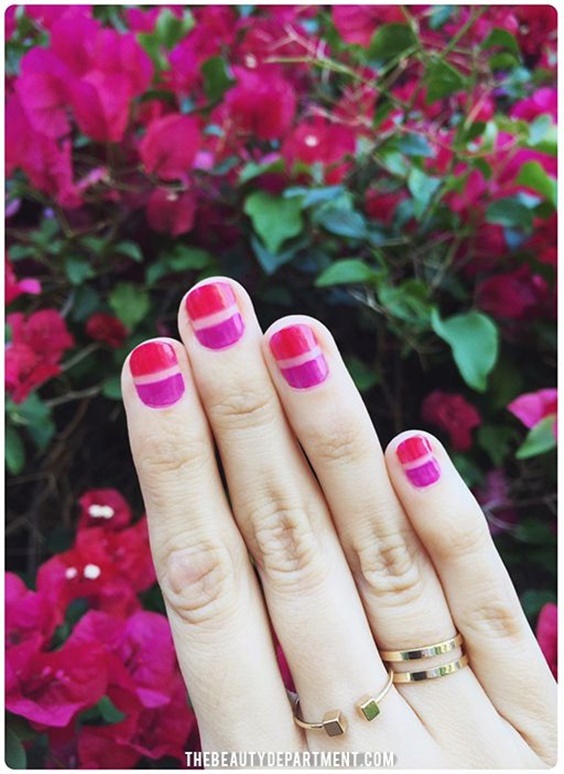 I’ll admit I pretty stubborn when it comes to beauty trends. 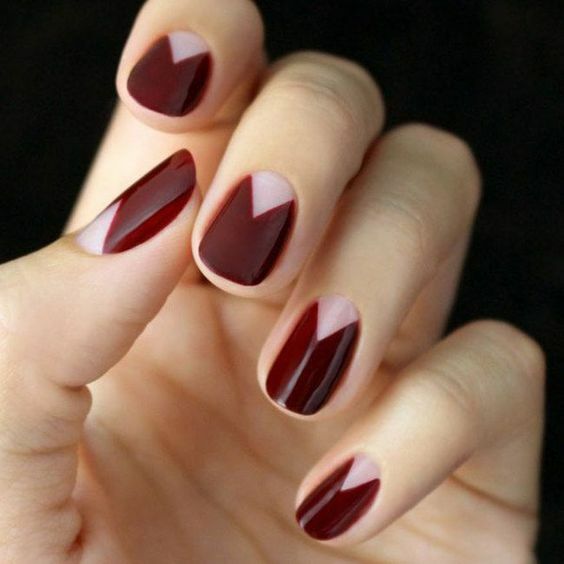 I don’t jump on any bandwagon easily, but lately I’ve been OB-SESSED with negative space manicures. 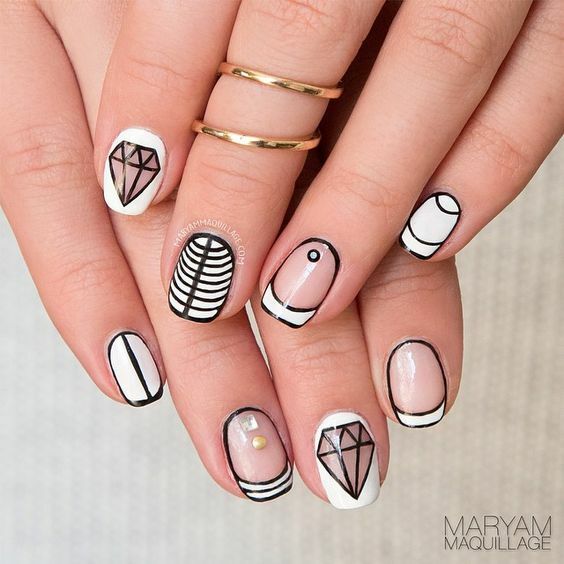 They’re so chic and sophisticated! 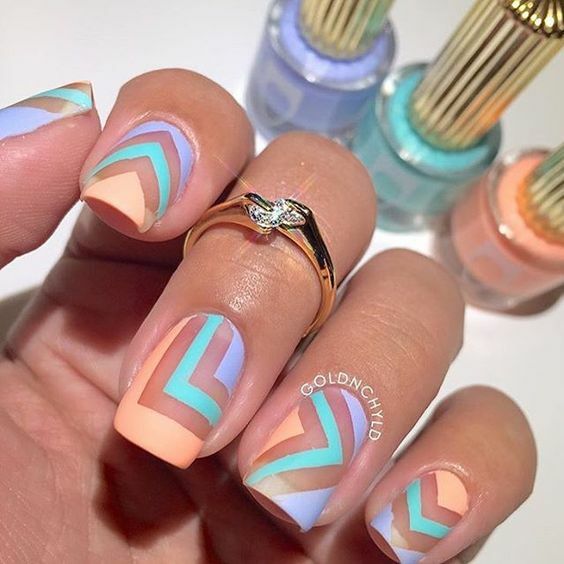 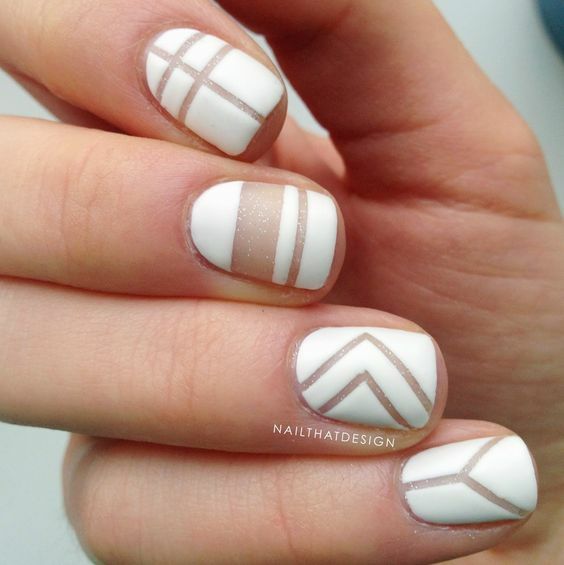 Nail art is usually so bizarre or complicated I stay away from it completely, but this new trend is something that is crazy-easy and much easier than it looks. 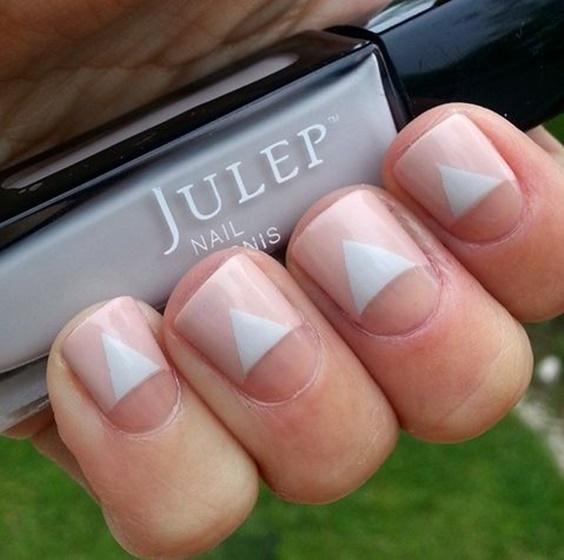 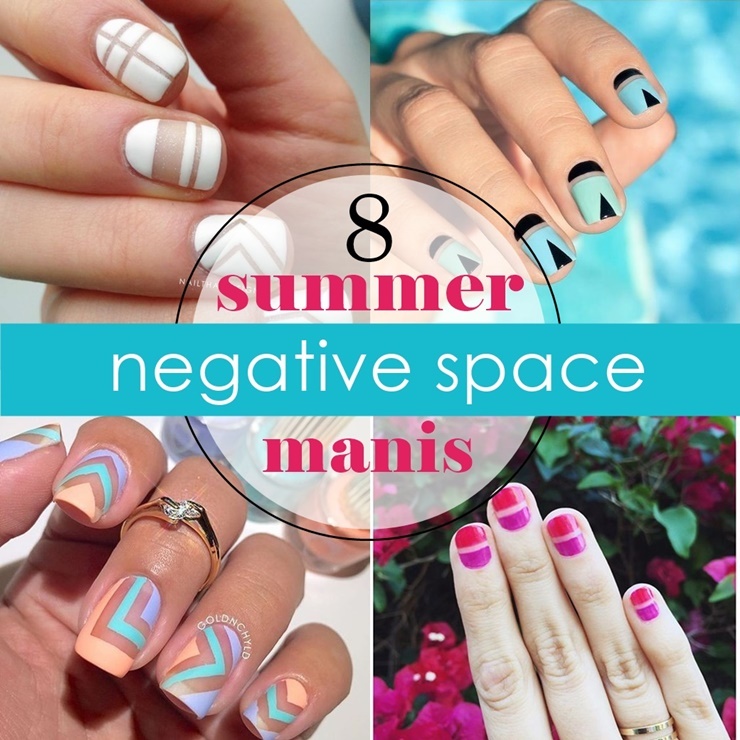 You simply need a nail polish (or two), top coat, stickers or striping tape, and that’s it! 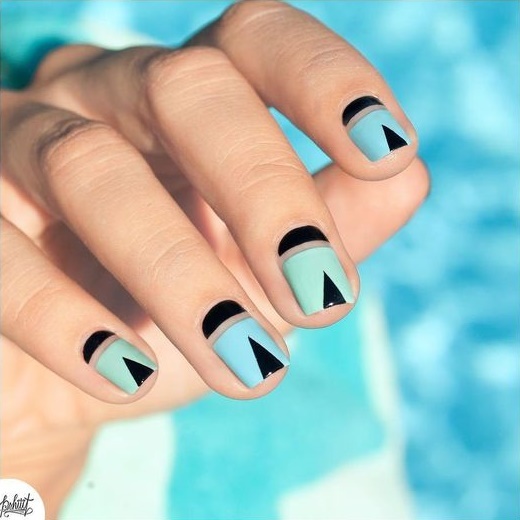 Whether you like a graphic black-and-white look or a more cheery color palette there’s bound to be a negative mani you’ll love!